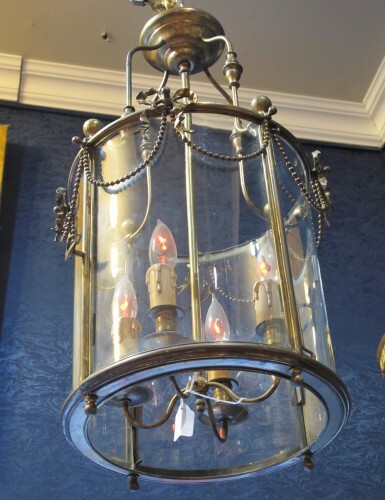 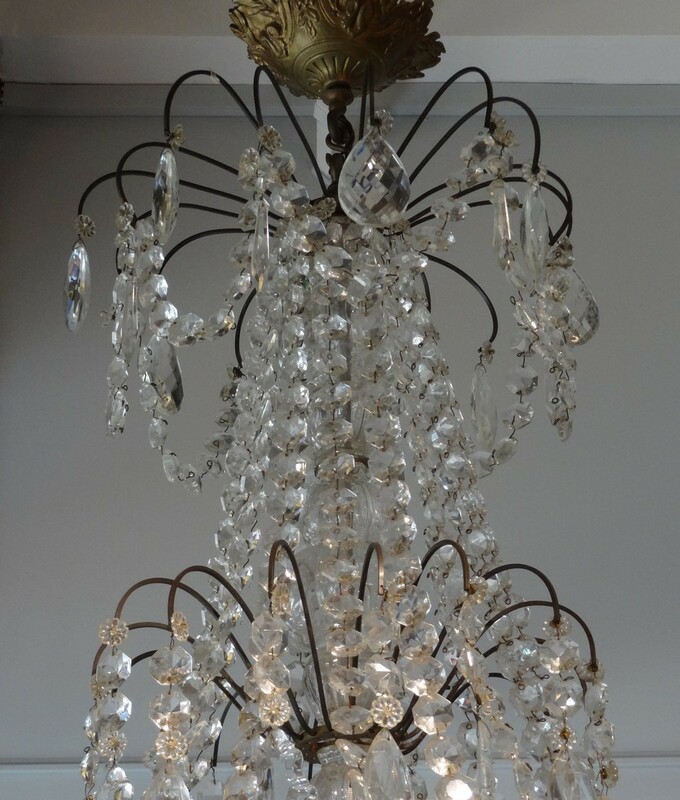 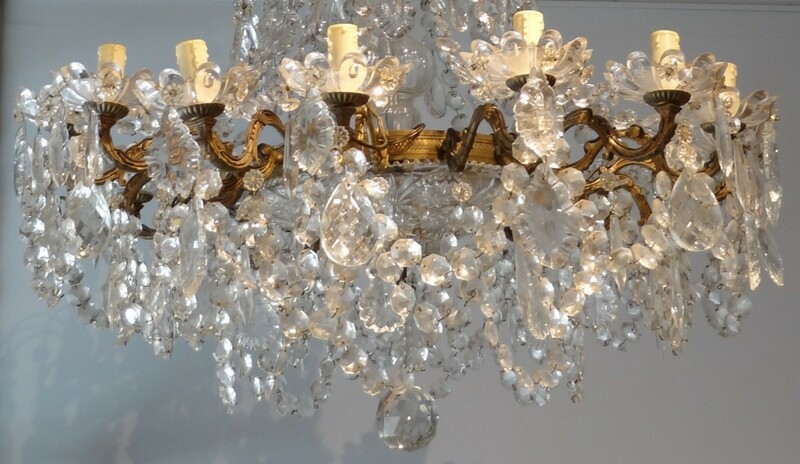 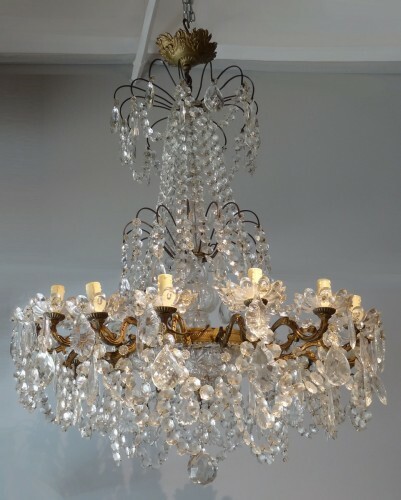 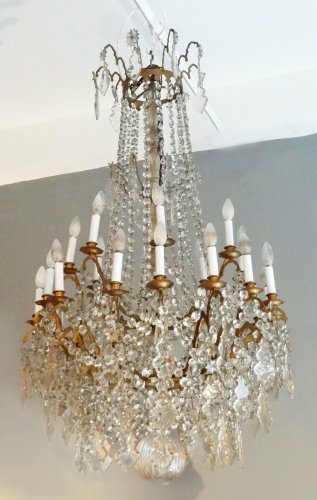 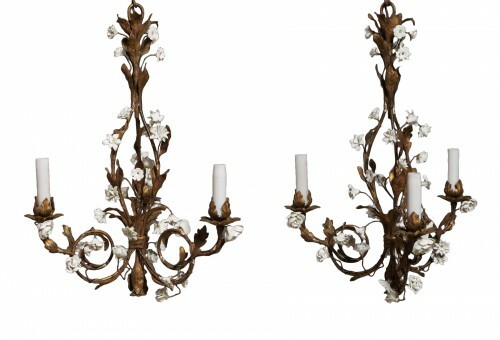 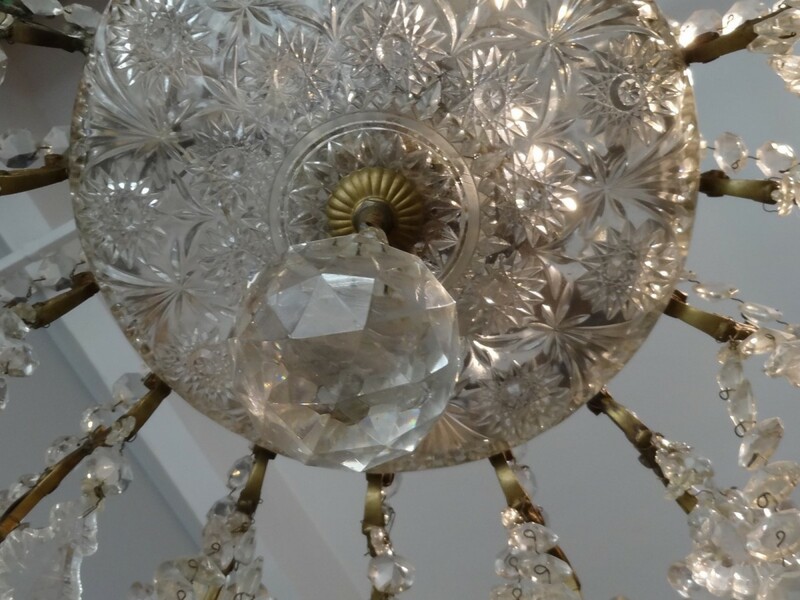 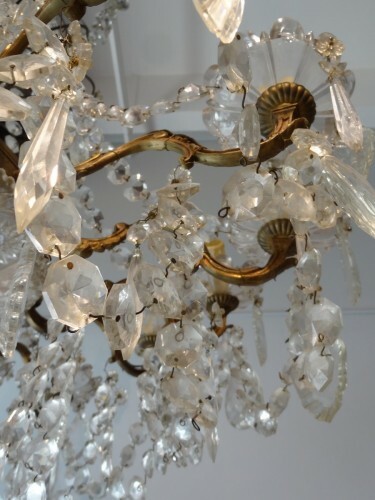 This beautiful gilded bronze chandelier revolves around a central crystal column. It is composed of sixteen lights and is adorned with an abundant decoration of garlands of tassels and platelets. 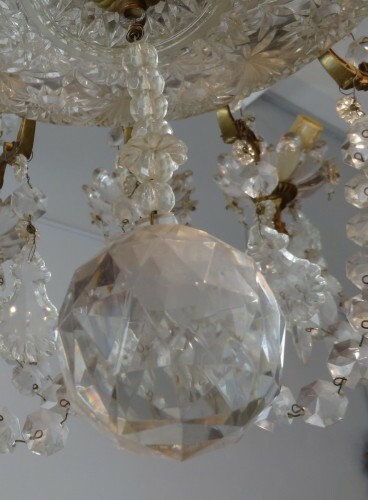 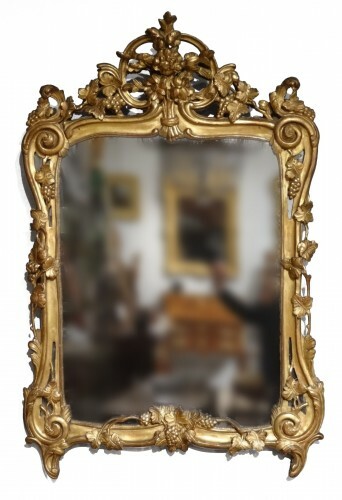 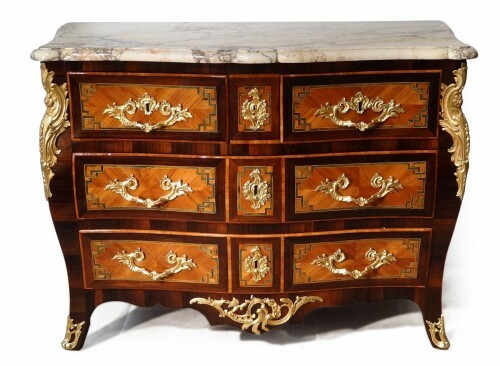 The base is adorned with an elegant "faceted" ball. 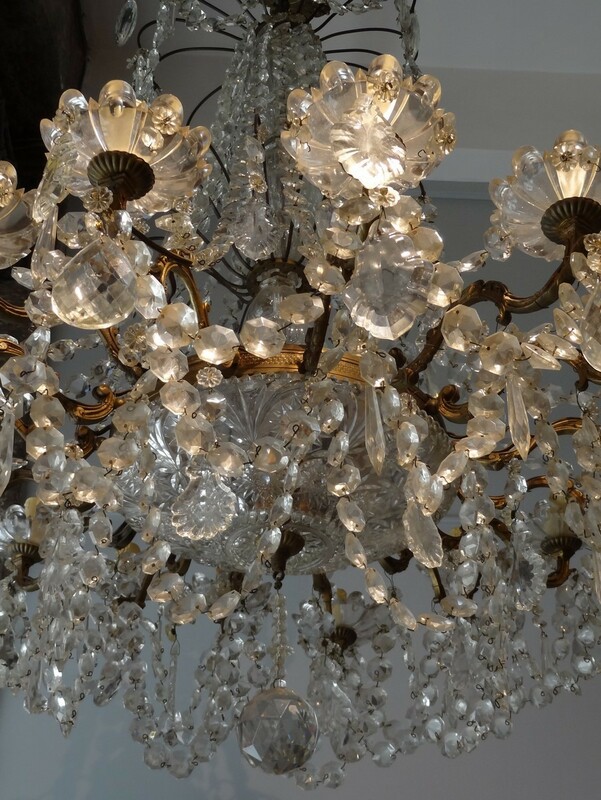 We deliver in France and abroad, either ourselves or through qualified carriers and freight forwarders.